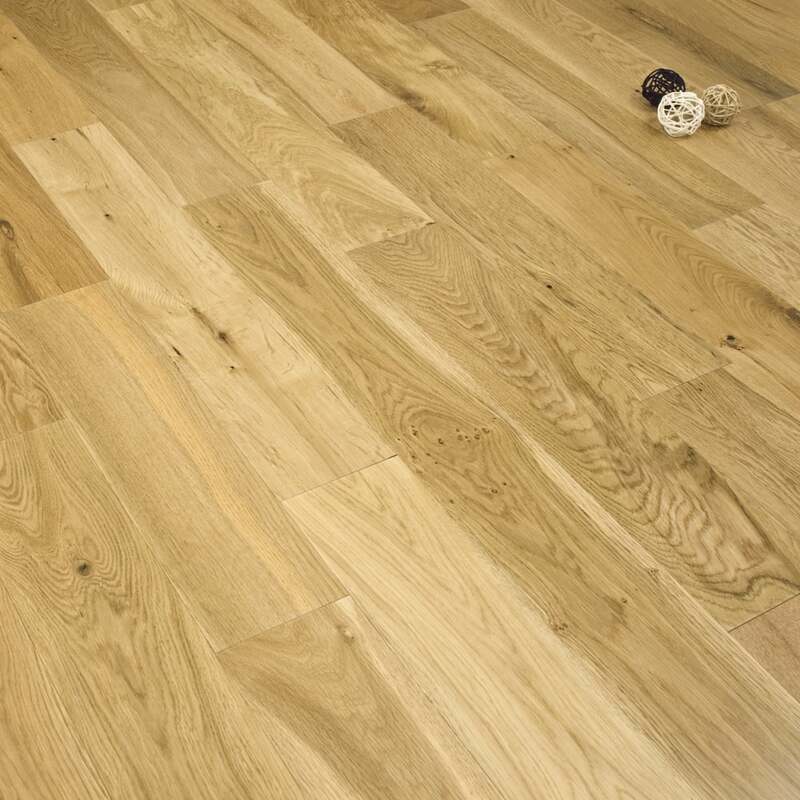 Eternity Engineered Oak Lacquered is a 14/3mm thick board which may be sanded and resealed up to three times during the lifespan of the product allowing your floor to look gorgeous for decades to come. Each 1.8m2 pack contains a selection of 125mm random length planks. Bring a part of nature into your home with this stunning natural oak product. The colour variation and wood grain makes for a rustic look floor with character and charm which will look perfect in any home with any décor. The floor is then finished with a lacquered coating which offers protection to the wood and subtle sheen. Brilliant customer service and prompt delivery. The customer service lady I spoke to remembered a past order of the previous owners and helped confirm an exact match for flooring I was seeking. The delivery driver went the extra mile walking the pack up my road as the van was unable to get in - its a tricky road. I was truly grateful for all the help staff at either end of my order gave me. Exceptional service and I would happily recommend. Good quality sample, arrived quickly and well packaged. Highly likely to use this company again due to the ease of use of the website. Ordering the three free samples took less than 60 seconds start to finish! The quality is very good lovely oak finish good price.